early mid-season, medium to large fruits of very good flavour and appearance. A good variety for a frost pocket because the blossom trusses develop late. In its maiden year this variety is early with exceptional flavour, in the second and third years mid-season with a very good flavour. The plants are large and upright and are also excellent for growing under cover, one of the best for growing in used gro-bags after tomatoes etc. have finished cropping. 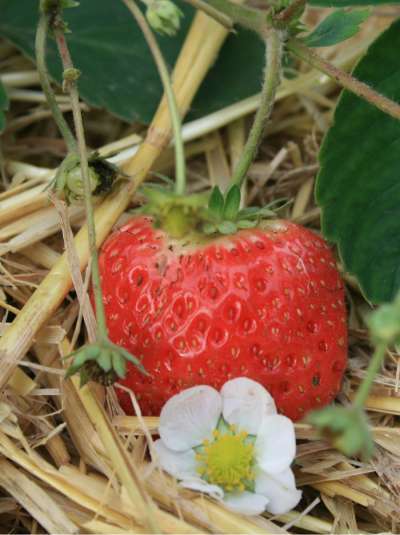 Specially recommended for flavour in its maiden year, this variety is a very old favourite, susceptible to Mildew.